Veranstaltungsraum am Althangrund & Initiative für Sozial, Kultur und Wohnraum für alle! >>> Call for Participation – be part of “Grund für: SOS!” – from safe passage to the right to cities! When there is too much silence about the consequences of politics, there will be a space left, in which we can transfer A? into A! We want to take a closer look and talk about how it affects us and what we can do. Since city is not just a place, but also social affairs of mutual inspiration and collective action, we extend this invitation. On 31st May 2019 we take our space into our own hands. There will be space for talking to and in front of each other, listen, have a party, food and drinks. It’s to our concern what is happening on the escape routes and at the boarders of Europe! And that for we want to talk about it, try out strategies how Vienna could become a save port for refugees and how Recht auf Stadt (A right to city) could turn into a possibility of participation for all. It’s a wonderful place where we are doing this: the “Alte WU”, former university of economics, at the Althangründe (Augasse 2-6, Vienna). This is a place that itself has an uncertain future ahead. It is part of the city development area Althangründe, that sits there waiting for future plans. 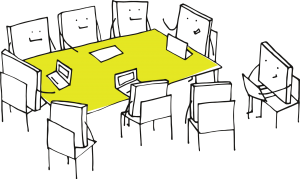 The action group 4lthangründe für alle is made up of people interested and living close by and is also part of the organisational structure of the event. To them this event is a chance come together and to draw up a concept of solidary city. We want living space for everybody, easily accessible spaces for art, culture and social happening. We want neighbourhood cooperatives! Not only at Alsergrund but all over the place! We would be glad to have contribution concerning the neighbourhood area and related topics as city planning, autonomous administration or right to city. All of the people living in the area are more than welcome to join us chatting, discussing and brainstorming. Us, that is a loose collective of groups such as Wiener Kultur Rave, Seebrücke Wien, ÖH_akbild and other local groups that got together in order to organise this big Soli-Summit. We want to exchange activist strategies, concepts of collaboration and recent transnational fights and struggles. Let’s build bridges between the solidarity with refugees and our right to the city. A day filled with lectures, workshops, cinema, performances, poetry, food and drinks. Money collected will be donated to different initiatives working on rescue at sea, like Seebrücke Wien, refugee projects, the neighbourhood action group 4lthangründe für Alle, the (former) social centre Klinka in Prague or the ARGE_Räume, a cooperative of different cultural spaces in Vienna. All the participants will have their travel costs and costs of expenses refunded. We can provide you with technical equipment or the transportation of yours within Vienna. You will be provided with food on site and of course we create the space for your contributions. The programme will be selected and compiled by the end of April by the organisation team. Don’t hesitate to ask us anything! Any other way of supporting? If your busy beforehand but want to help anyways, there are plenty of ways! In order to make something like this event happen we need more than a hundred helping hands that are willing to take on different tasks such as entry, coat check-in, technical support, logistics, bar keeping, getting out promo material etc. If you see yourself helping with one of the above, send an email to 4lle@riseup.net. Include information about the hours you can spend and when (before or during the event). we do not see not – we see ships in seenot! Die gesammelten Spenden kommen unterschiedlichen Initiativen der Seenotrettung, wie Seebrücke Wien und Geflüchtetenhilfe,sowie Grätzlprojekten wie 4lthangründe für Alle, dem (ehemaligen) Socialcenter Klinika aus Prag oder der Wiener Vernetzung “ARGE_Räume” zu gute. Willst du dich einbringen? Schicke uns deinen Vorschlag bis zum 12. April 2019 28.04. um mit im gedruckte Programm zu sein. Wir haben noch etwas Platz im Nachmittagsprogramm (Workshops, Vorträge, Kinderprogramm, Kino, Diskussionen, ...), das Nachtprogramm (vor allem Djing) ist bereits ziemlich voll (schick uns trotzdem Ideen und Vorschläge und wir schauen, ob/wo wir einen Platz dafür finden). Vorschläge per Mail an: 4lle@riseup.net! Wir supporten falls nötig mit Transport, stellen Equipment zur Verfügung, können bei Bedarf Kosten für Reise und Material refundieren, sorgen für Verpflegung vor Ort und schaffen Raum für eure Beiträge. Das Programm wird bis Ende April vom Organisationsteam ausgewählt zusammengestellt. Alle, die teilnehmen, bekommen Reise- und anfallende (Material)kosten zurückerstattet. Außerdem werden wir uns bei Bedarf um eure Unterkunft kümmern. Du willst dich in die Organisation einbringen? Wie kann ich sonst noch supporten? Wenn du helfen willst, aber keine Zeit für Organisatorisches hast, keine Sorgen, es gibt andere Arten sich einzubringen! Um eine Veranstaltung von der Größe aufzuziehen, brauchen wir über einhundert (100!) helfende Hände, die unterschiedliche Aufgaben übernehmen (Einlass, Garderobe, Technisches, Logistik, Bars, Flyer und Plakate verteilen usw). Wenn du uns helfen willst, schreib an 4alle@riseup.net mit Infos über die Stundenzahl, die du investieren kannst und wann (also vor oder während dem Event). we see ships in seenot! mehr infos / more infos see: http://www.4lthangrund.jetzt/call-31-05-2019/ http://www.4lthangrund.jetzt/mitmachen/ Du willst dich in die Organisation einbringen? Wir wollen den Organisationprozess für alle Interessierten öffnen. Auch weil wir nicht in unserer Blase bleiben wollen. Wenn du Lust … Continue reading "Open Meeting / Offenes Treffen > 31.05. Grund für: SOS !" https://janeswalk.at/walks/althangrund-ein-stadtviertel-im-umbruch-2/ Der Althangrund ist das größte innerstädtische Stadtentwicklungsgebiet Wiens. Große Veränderungen stehen hier an: die Stadt verspricht leistbares Wohnen und Durchquerungen, die Entwickler wollen bis zu 500 Millionen Euro u.a. in eine terrassierte „Stadt über … Continue reading "Jane´s Walk: Althangrund ein Stadtviertel im Umbruch"
S A V E T H E D A T E mehr infos in kürze / more infos soon ab 11h Workshop / Inputs / Diskussion / Kinder / Tagesprogramm ab 20h Nachtprogramm CALL SEE: … Continue reading "Grund für: SOS!"